Many years before recorded history, the art of storytelling was used to entertain and teach about traditions, customs, and legends. Today, stories are commonly found in books, movies, television, and even music. In the classroom, spark imagination and creativity by introducing your students to a variety of ways to tell a story. Have the kids share their personal experiences in unique and interesting ways. The most common form of storytelling is reading books. Select books that tell stories about people, places, history, and events. Enlist the help of your librarian to compile a variety of books from which your students can choose – the selections are endless. Read aloud to your students daily, but also allow students to choose a book and read it to their peers. Telling a story orally is the root of our storytelling tradition. Some students love to speak and are comfortable sharing with the class. Allow children to utilize this skill with these tips. Tell stories in your own words. Use life experiences, events, or about family members or friends. Improvise and use motions and actions to help your story bloom. Props such as puppets, masks, costumes, and musical instruments make the story interesting. Describe senses. Capitalize on colors, smells, and sounds, helping the audience create a mental picture of your story. Make use of audio and videotaping. Make these tapes available for future use in a learning center. Allow your students to visit The Kids’ Storytelling Club on the Internet. This site gives ideas for stories, as well as storytelling crafts to make. 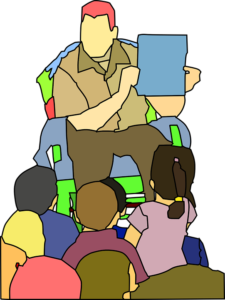 The kids can engage with famous storytellers and their art on this site. Children love to sing, but did they know it is also a way to tell a story? Check your library for musical stories that can be found on CDs (audio or visual). For example, “Peter and the Wolf" by Sergei Prokofiev or “Carnival of the Animals" by Camille Saint-Saens would be great choices. In class, teach your students new songs. What about having them create their own songs – a story to music? They can use familiar tunes and change the words. These are called “piggyback" songs. Many artists have captured their audience as they tell stories with color design, and shapes. Expose your students to the artwork of various artists through books, pictures, or websites. Scour the Internet to provide a virtual art museum in the classroom. 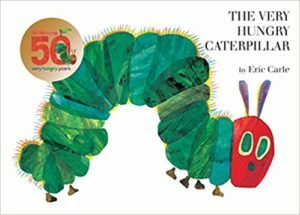 Check out Eric Carle’s website or Jan Brett’s site. There are many authors that are artist too! Using a digital device to record an event or even a still-shot photo can tell a story. Children need to use their imaginations when viewing pictures asking questions like who, what, when, where, and why. The familiar adage, “A picture is worth a thousand words" often comes to mind as pictures spark our creativity. Why not take and print digital pictures throughout the school week. Put them on a bulletin board and invite the children to write a story using one picture or several. You may want to expand this project by asking parents to capture family moments on film at home and getting their kids involved in story writing there too. Poets (like writers) use words, meter, and verse to tell their stories. Share a variety of age-appropriate poems with your class. Read them aloud, enhancing their rhythm for all to enjoy. Discuss the poems. Take a poll on which the children like best. Invite the children to write a unique poem telling a story. Use these website to help you teach about poetry – the forms, about poets, and more. 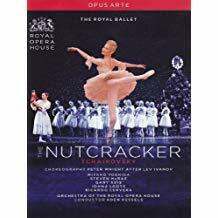 Who has watched the entertaining dance movements from ‘The Nutcracker" by Tchaikovsky? How about "Sleeping Beauty" and “Swan Lake"? Body movement has a language of its own and by moving people can also tell a story. Throughout history creative dances with music have told stories about cultures and special occasions. If possible, invite a dance troupe into your classroom to put on a performance. Or play a video of these works. Discuss the mood and story these dances emit to the children. Then, why not teach your students a few dance steps so they can experience the creativity of telling a story with their own movements? Copycat Magazine, Jan/Feb 2003 – “We Are America’s Storytellers"